A couple of important default settings have changed in PeopleTools 8.55. The first is that all users now will land on a Fluid Tiles homepage after signing on. If you are using Interaction Hub homepages, you will need to revert this behavior via PeopleTools Personalization. The second big change is the Enterprise Menu is now gone in 8.55. Well, maybe not entirely gone, but hidden by way of code. As a side effect, the breadcrumbs in the menu bar are also now gone. This change has caused quite a bit of questions to come our way. The problem is quite simple. The enterprise menu was complicated and not well-suited for self-service users, however, power users relied heavily on that power and the ability to jump sideways in a navigational scheme. Many PeopleSoft shops used a popular navigation method for their power users called “The Single Link”. This is where the Interaction Hub would have a single link to HCM/Finance/Campus/Etc. Clicking the link would launch the HCM homepage, for example, and allow users to navigate HCM-only pages which was very handy for power users. PeopleSoft even delivered Single Link cRefs in the Interaction Hub. Now with 8.55, the single link method is no longer operational. 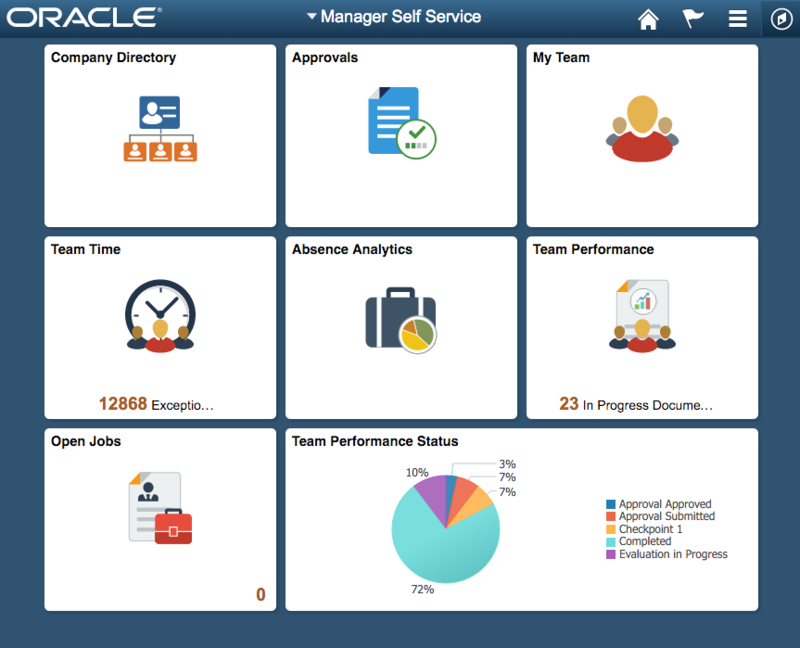 Oracle requires customers to enable and use Unified Navigation. Of course this not only means changing your navigational scheme, but it also means there is no way to navigate solely within HCM now. 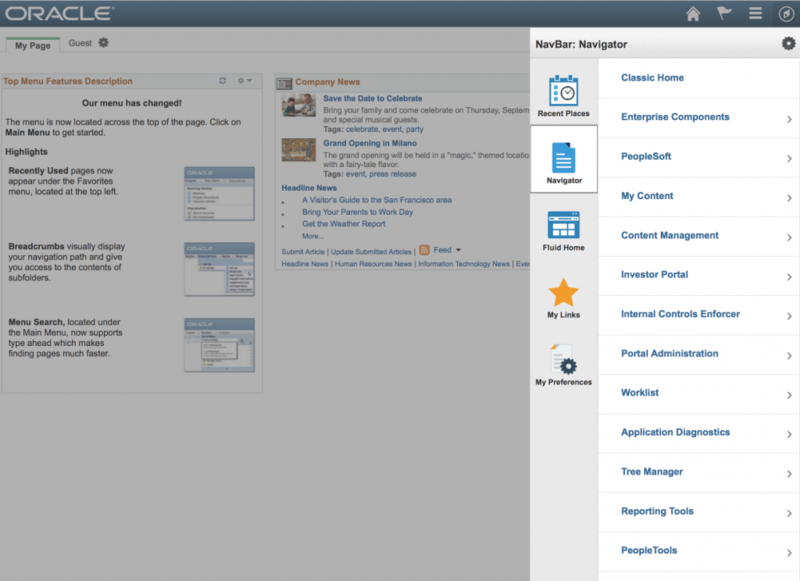 Once you deploy Unified Nav, your navigation includes all PeopleSoft apps in the cluster. For some users this is a good thing, but for others it is coming as a hard change. At IntraSee, we always look through the user’s eyes. In this case, there are different user segments with differing needs. We would never simply recommend going one direction at the cost of the other audience. Power users are fundamentally different to self-service users. So what is the solution? The same solution isn’t necessarily right for every customer. Differing industries and differing countries all come into play. What is certain, is that we have to do an effective job of blending Classic and Fluid in this post-8.54 world and navigation is a big topic that goes with that theme. We need to ensure the landing page is representative of the one-stop shop users need and includes navigation for these different segments of the population. The good news is that using the power of PeopleSoft, navigation is entirely controllable. We know who every user is and we can create tailored navigation for each segment. If we add in concepts such as frequency, trending and personalization to a site’s navigation, we can achieve a truly powerful solution. Reach out to us and we would be happy to talk more about the possibilities.